Industrial luminaires for T5 and T8 lamps with high protection degree IP66 for industrial premises, factory halls, tunnel lighting, storehouses, car parks, cool cabinets, farms and garages. The lighting fixtures are especially designed for use in difficult environments where the ambient temperature is low or high (-30°C ÷ 60°C). 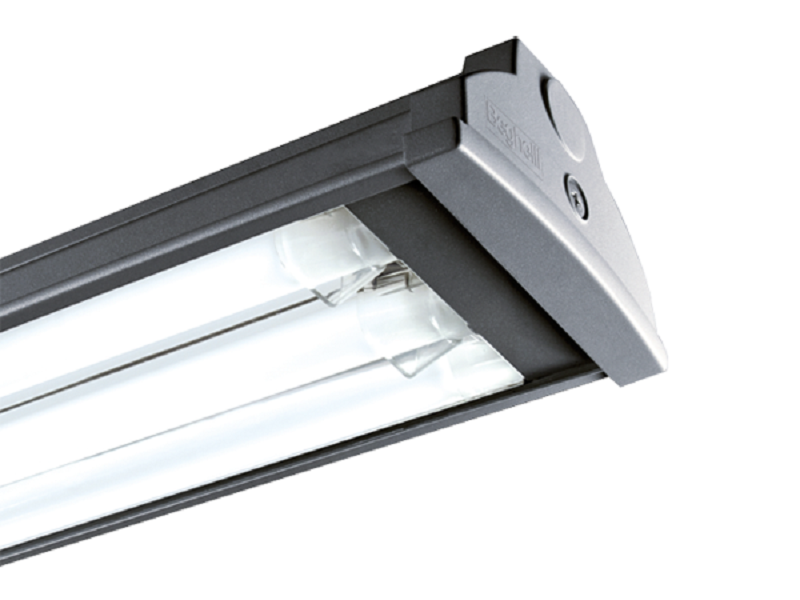 Luminaire intended for Rough Service (IEC 60598-1). The capability of luminaire to operate in presence of vibration Rough Service (IEC 60598-1). Housing is a flat steel drawn galvanized reinforced. Painted with high impact resistant polyester powder paint. End caps are made of die-cast aluminium with central screw fixing system, extruded silicon rubber gasket integrated.